Organic food, at one time, was just called food. Here at Tree Of Life Organics we feel that it is very important that humanity takes a large step in the direction of growing natural food once again. Not only is organic food more nutritious for you and healthier for your body, due to the lack of being covered in a plethora of putrid chemicals, but it also better for the ecosystem. Entomologist, ecologist and professionals in agricultural science agree that to ensure the stability of our food supply globally, a massive shift towards growing organic food once again needs to take place. Heirloom produce has dwindled in the variety of plants naturally available over the last century. Through mass production farming, hybrid plants and GMO food (genetically modified organism) we have devastated our natural crop production abilities and severely impacted the quality of soil nutrients in farmlands across the country. This has resulted in an even higher demand for GMO’s, fertilizers, herbicides and pesticides to continue to meet production demands. With each new iteration of these foreign contaminates new resistant strains of bacteria, fungi, and insects spring up to adapt. One problem is these resistant variations tend to spread from the farms where they originated and destroy other crops that don’t use the same chemicals and even the crops that do. In turn even more measures are taken to counter these resistant strains. All of this is having a serious impact on the natural ecosystem and our ability to produce quality food. We are now seeing dramatic effects such as Colony Collapse Disorder, CCD, in bee’s, which studies have shown may be directly related to pesticides and GMO’s and massive reduction in soil nutrient content. 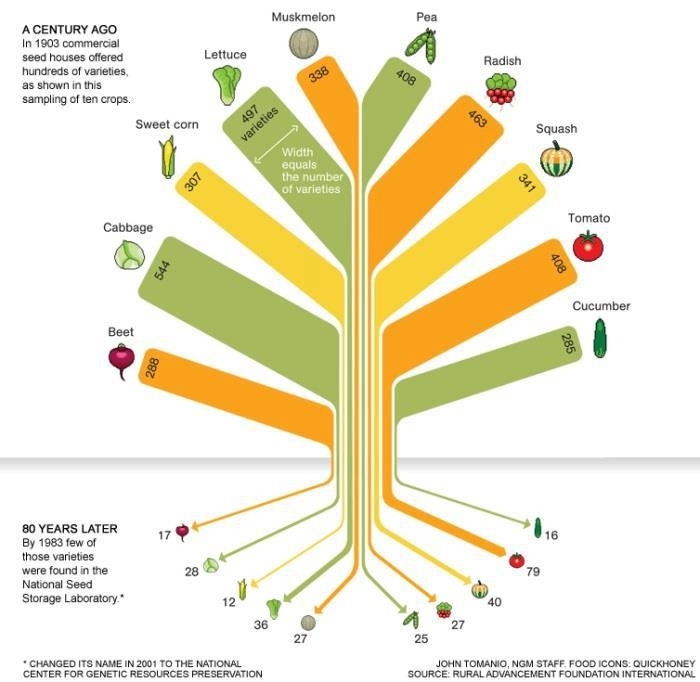 Did you know that before 1946 all food was organic? GMO’s or Genetically Modified Organism’s, are plants that have had their DNA restructured to a certain purpose. Whether its to increase the growth rate, produce size, build in “natural” pesticides, or herbicides, all of these severely change the natural state of the plant. This short excerpt from Andreas Process Blog does an excellent job of explaining how we came to the state we are in now and the immediate effects of GMO’s. "After World War 2 the industrialized nations brought forth corporations who introduced chemical fertilizers, pesticides, agri-business. There was a systematic plan to have farmers be taken from their land by lending them money, then bankrupting them, taking their land away and then creating agri-business growing corporate food. The farmers that went along with the plan had to use all the chemicals and pesticides that the corporations forced on them to become dependent with. Thus the introduction of mass produced food that had profits for the few at the top. The soil rapidly decreased in its mineral content and the topsoil blew away so now there is very little nutritional soil. 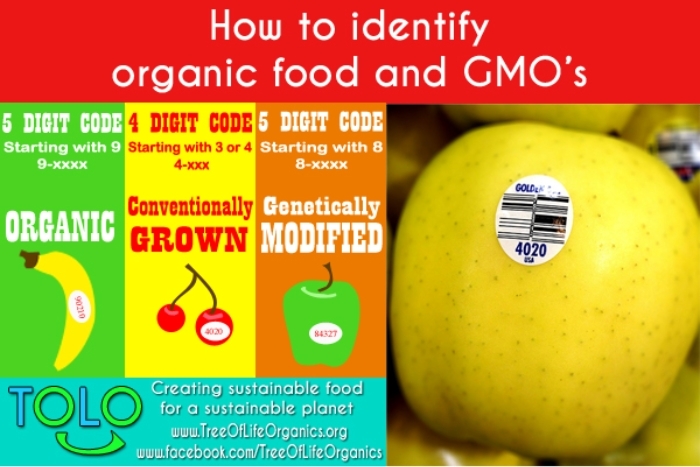 The GMO seed only produces once and is totally dependent on chemicals to exist. The GMO plant is a herbicide and pesticide but kills all the butterflies and birds. The jury is still out on the damage GMO food creates on the body. That will take a few more generations to determine. A number of studies on animals have shown GMO food to have harmful effects like sterility, increased allergies, the likelihood of cancer, smaller and fewer offspring and death." None of this sounds like a good thing to put in your body or subject the planet too. That is why Tree Of Life Organics only grows natural heirloom produce and a selection of hybrid plants. Our take on organic food is not to sell a new trendy healthy fad, but to bring back the natural order of the planet, and still be able to feed our citizens food that does not destroy our bodies and the environment. Hybrids are created when mankind cross pollinates certain varieties of natural produce to achieve a desired trait (such as vine tomatoes). When a plant cross pollinates in nature the end result is a newly evolved strain, which is essentially a hybrid. Moderate usage of hybrids in a greenhouse environment has a minimal impact on the ecology. Seeds from hybrids are also able to germinate and produce a new plant. Most Heirlooms are OP(Open Pollinated.) F1 Hybrids(First Generation of a cross to produce a variety) have not been around as long. The late 1920's and early 30's is when F1 Hybrids first came into existence to be sold by seed companies. After about 50 years an F1 Hybrid can become classified as an OP Heirloom. Based of this information there is nothing wrong with a F1 hybrid being considered a heirloom. All OP varieties were F1's at some point when considering the natural evolution process of plant’s. Tree Of Life Organics only uses a minimal variety of F1 hybrids such as the above Octopus F1 Tomato hybrid. We know that it is very important to keep a strong line of heirloom plants available to the ecosystem. Since we are growing in climate neutral aquaponic greenhouses, our direct ecological impact is minimal. Utilizing hybrids we can increase food production for areas struggling with hunger. However we wish to promote the reintroduction of heirloom produce into the wilderness and the for the home farmer, so hybrid usage will be kept to a minimum. We at Tree Of Life Organics have a different take on organic food. At one time all food was organic and we feel that its our duty as humanity to ensure that this the case in the future. In our modern society organic food has become some what of a health trend. Due to these “trends” organic food is now substantially more expensive than food farmed with traditional methods and expensive toxic pesticides. We feel organic food should become the norm again and should be cheap and readily available to everyone. We are posed to produce strictly organic food at a higher standard than current USDA guidelines. We want to produce healthy natural food, that is organically grown and high in nutrient content. Not just because its a neat trend, but because its what our bodies deserve. You may note that there was a level of detectable pesticides in even organic produce. That is due to the fact that to be classified as organic food by the USDA certain pesticides are still allowed to be used and regulations are not strictly enforced. Contrary to what most people believe, "organic" does not automatically mean "pesticide-free" or "chemical-free". In fact, under the laws of most states, organic farmers are allowed to use a wide variety of chemical sprays and powders on their crops. This information is why we designed our state of the art Aquaponics greenhouses. 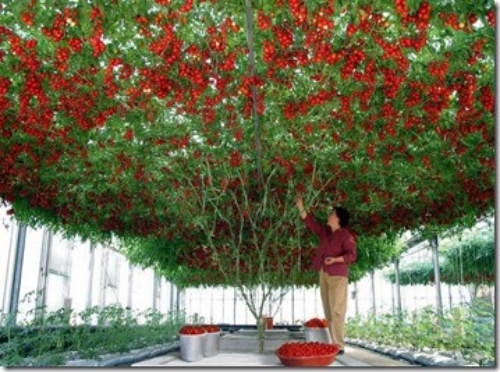 grow food in a medium, not soil, so it is assured to be from a controlled pure environment. fertilizer is “made’ from vermicompost (worm excrement) and fish excrement. clean water is derived from rain water cisterns and reverse osmosis machines. heirloom seeds for majority of plants. few hybrids, carefully selected to ensure no GMO heritage. 10% to as low as 1% less water usage than traditional farming, good for the environment.